This city park gets the highest number of positive epithets, the oldest, the biggest, the most beautiful, the most famous, the most visited, best kept…and this merit. Located in the center of Novi Sad. The first plant species were planted in the late nineteenth century, on the swampy, muddy soil that is often flooded by the river Danube. Hence the name of the park. Originally, the locals called it the Boardwalk because it is to this day a favorite promenade and meeting place for citizens and visitors. The area where the park was built in 1895 was called fair place because there were held the great annual fairs. By leveling land and planting of various crops, the construction of paths and roads, expanding the space, the park has become an authentic natural oasis in the middle of a big city. This concept was given by Dr. Ratibor Đorđević in 1958. Today, the park covers an area of 39,300 square meters and has over 250 different plants, and therefore is under the protection of the Republic Institute for Nature Protection. The lake in the park represents its main and central motif, with a small island in the middle where the weeping willow. Residents of lake are swans, ducks, turtles and birds, which makes happy the youngest citizens of Novi Sad. Also, the lake is periodically stocked and so that is full of different kinds of fish. There is also a fountain “Nymph”, the work of Serbian sculptor Djordje Jovanovic, set in 1912. 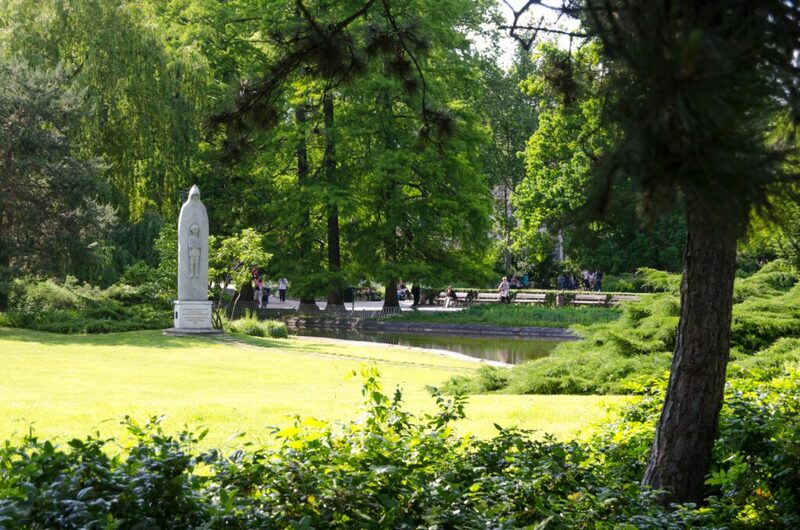 The park includes sculptures and monuments of the important Serbian personalities such as: Monument Djura Jaksic, figure of Sergej Radoneski (which is donated to the Society of Russian-Serbian friendship), a bust of Branko Radičević (work Ivanka Acin), bust Miroslav Antic.